How could one contracting company do so many things for your home? Wyeth Woodworking and Remodeling doesn’t just scratch the surface of remodeling and renovation. We work on every aspect of your home to make it the most safe and comfortable place you could imagine. With this in mind, the roof on your house does not attract the majority of your attention when it comes to renovations. However, the roof is responsible for several functions including structural support, controlling water ingress, water vapor diffusion, heat flow and surface protection. The importance of a roof’s functionality is just as important as the materials used to construct it. Never take this step lightly. As a consumer, the type, materials and components will keep your home warm in the winter, stable during heavy rains and hurricanes and will keep out the varmints and unwanted critters that sometimes try to become part of your family. Whether you want asphalt shingle roofing, cedar shake roofing, flat, metal, slate or tile roofing, the roofing contractors at Wyeth Woodworking and Remodeling will give you the best advice for your type of house and your desired budget. 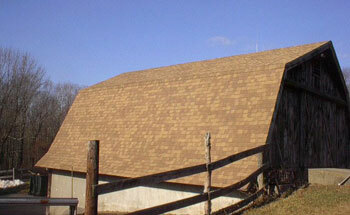 A new roof can be expensive, but it doesn’t have to be with Wyeth Woodworking and Remodeling. Contact us for cost estimates and research. You’re not just protecting your home, you’re protecting your investment.